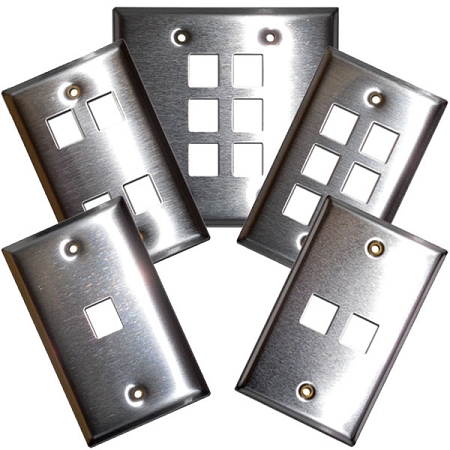 These empty Voice/Data Modular Jack Wall Plates are made of stainless steel that is durable, dependable, and UL listed. Just plug any RJ11/12 or RJ45 connectors and make connecting to your phones or network systems easy and quick without the need of special tools. 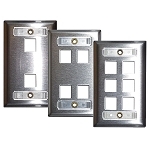 Making use of these stainless steel wall plates will make networking and connecting multiple phone lines simple for call centers, banks, laboratories, and department stores. Please verify your manufacturer’s specifications to insure proper fit. Custom punches are also available.